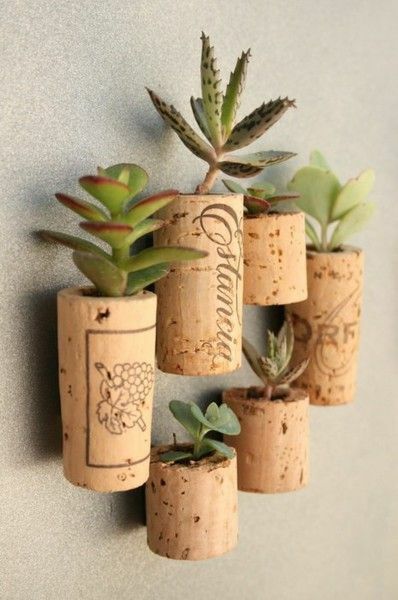 Succulent Corks Wine corks can double as mini plants for tiny succulents. A poppy field from an ant's point of view. Old tree stump turned into a gnome home.